Pete Rehkamp was a promising young minor league pitcher with a no-hitter under his belt. But a catastrophic accident brought an abrupt end to the young airman's life. Charles J. "Pete" Rehkamp was a well-known semi-pro pitcher in Covington, Kentucky. He signed with the Toronto Maple Leafs of the Class AA International League in 1938, and joined the Macon Peaches of the Class B South Atlantic League, where he made six brief appearances before joining the Goldsboro Goldbugs of the Class D Coastal Plain League for the remainder of the season. Rehkamp had a 6-13 won-loss record with the Goldbugs and struck out 84 in 151 innings. He was back with the Goldbugs at the start of the 1939 season and was 2-2 in seven appearances when he was assigned to the Lenoir Indians of the Class D Tar Heel League. Rehkamp was 10-6 for the second-place Indians with a 3.55 ERA. In 1940, the Indians slipped to fourth place and Rehkamp was 8-6, but hurled a no-hitter against Shelby on June 15. The Tar Heel League folded following the 1940 season and Rehkamp pitched for the Landis Senators and the Lexington Indians of the Class D North Carolina State League in 1941. He had a combined 6-15 won-loss record and 5.50 ERA in 29 appearances. In September 1941, Rehkamp entered military service with the Army Air Force and served as a private with the 859th Signal Corps at Selfridge Field in Michigan. Pitching for the Selfridge Field Flyers in 1942, Rehkamp had a superb record, winning 16 of his 19 starts. On August 16, he put in a particularly fine performance, hurling the Flyers to a 9-1 win against the Northern Kentucky All-Stars, and helped the team to a 7-5 win over the semi-pro East Side Coals of Detroit on September 5. The following day - September 6, 1942 - Rehkamp, John White (captain of the Flyers' baseball team) and Wayne Brown (who had only enlisted two days earlier) took a three-day furlough to visit Brown's parents in Atlanta, Michigan. Rehkamp drove the 250 miles, and he and White both played in a ball game on Tuesday while in Atlanta. The three men began the journey back to Selfridge Field on the evening of Tuesday, September 8. 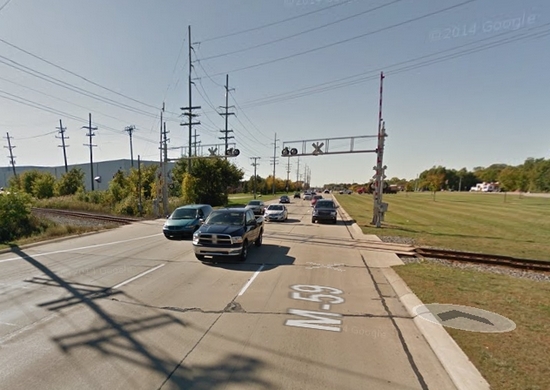 At around 4:50 A.M., Wednesday morning, Rehkamp was driving along Hall Road, north of Mount Clemens, Michigan, just three miles from Selfridge Field, when their vehicle collided with an 80-car Grand Trunk Railroad freight train at the railroad intersection. Two box cars carrying lumber were derailed and ran for 300 feet before turning over in a ditch. The automobile was demolished. Rehkamp was dead on admittance to the base hospital at Selfridge Field, Brown was seriously injured and, miraculously, White suffered only minor injuries. Railroad workmen labored until 11:30 A.M. to clear the tracks of wreckage and Sheriff Jacob F. Theut termed the crossing, "one of the most dangerous in the state." He pointed out that no warning lights protected motorists and that the accident was one of a series in recent years at the crossing. Rehkamp's funeral took place on Friday, September 11, 1942. Requiem High Mass was sung at St. Augustine Church in his hometown of Covington, and he was buried at the Mother of God Cemetery. Thanks to Lt. Col. Louis J. Nigro at the Selfridge Military Air Museum and Deborah J. Larsen at Mount Clemens Public Library for help with this biography.